Abishekam (hydration Pooja) is the process of bathing the deity. “Annam” means rice and Anna Abishekam denotes bathing the deity with cooked rice. This divine ritual is performed on the Full Moon day in the Tamil month of Aippasi (mid-Oct to mid-Nov). 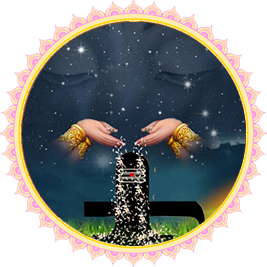 Although there is a variety of Abishekams performed in India, this particular ceremony is performed on Lord Shiva in the form of Shiva Lingam, in all South Indian Shiva temples. Performing this ritual once a year can help you get rid of all the problems in your life. This ceremony is also known as Shiva Abishekam or Maha Anna Abishekam and is conducted in many Shiva temples throughout South India, particularly in Tamil Nadu. According to sacred texts, rice is a symbol of life, richness, and prosperity. Lord Shiva is a great lover of Abishekams and is usually bathed with 11 sacred items, which include holy water, cow’s milk, ghee (clarified butter), coconut water, sugarcane juice, sandalwood paste, Vibhuti (sacred ash), curd, panchamirtam (mixture of 5 items), mango powder, rice and turmeric powder. Of these, rice is considered his most favorite item for the hydration ceremony. It is believed that one’s mind is a resemblance of the food he intakes. To signify the significance and divine role of rice in one’s life, Anna Abishekam is performed annually. Anna Abishekam acts as a token of gratitude to Lord Shiva, who is the sole protector of nature's five elements and all life forms on earth. Besides, rice is an outcome of the union of the five elements of nature. When the seed is sown in the land, it is nourished by water from the sky, fire (energy) from the Sun and is transformed into paddy with the help of wind. This is processed into rice and is fed to all living entities. Such is the significance of Anna Abishekam. Anna Abishekam is a unique ritual that invokes the blessings of Lord Shiva. On this day, Shiva Lingam, the symbol of Lord Shiva’s energy is hydrated with the traditional Abishekam items such as holy water, turmeric powder, sandalwood paste, milk, orange juice, honey, coconut water, curd and sacred ash. On completion, the idol is entirely covered with cooked rice, with an assortment of vegetables decorating the top of the Lingam. At the end of the ritual, Aarti (light offering) is presented to Lord Shiva, and the covered rice is distributed as Prasad (offering) to everyone, not letting a single grain go waste. The ritual is fervidly performed on the massive Shiva Lingam at the Big Temple at Tanjore, Tamil Nadu. Lord Brihadeeswarar, the presiding deity of the temple is covered entirely with cooked rice, and boiled vegetables form the garland. “Sri Rudram” is chanted continuously throughout the ceremony, which vibrates among the sea of devotees. This ceremony is widely performed in all Shiva temples in Thanjavur, Thiruvarur and Nagapattinam districts. Lord Shiva is the archetype of Universal Consciousness, the primordial energy responsible for all possibilities. Fear will no longer be a roadblock to your success with the Shiva Yantra.Assault all evil spirits that dominate your positivity.